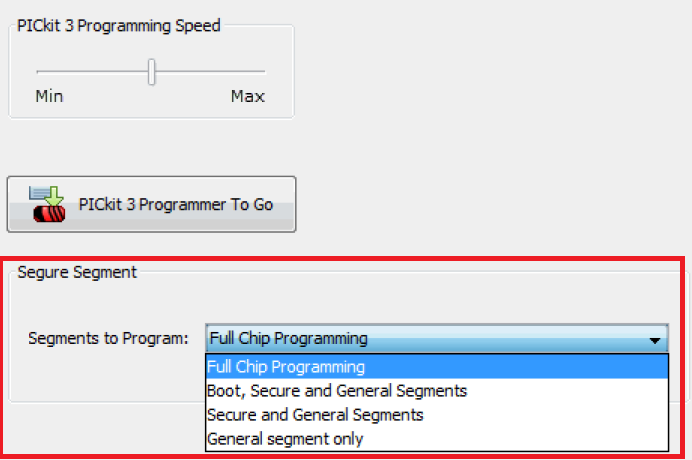 You can use the slider to adjust the programming speed (see figure below). This option helps troubleshoot problems by slowing the speed down to allow sufficient time for signal levels to stabilize. The PICkit™ 3 slider will slow down ICSP programming which may help communication problems brought upon by heavy loading on the ICSP lines. Microchip recommends that these lines are clear of any components. The programming speed control may help to program boards that already have existing components on these lines. 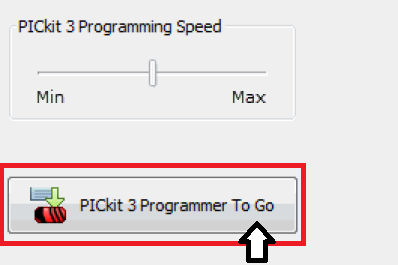 The second part of the PICkit™ 3 Programming Settings is the PICkit™ 3 Programmer To Go setting. 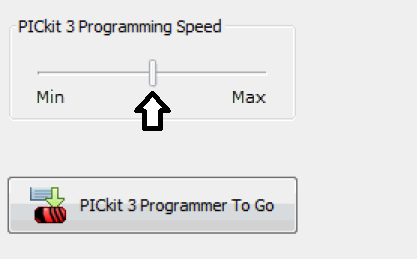 Click on the PICkit™ 3 Programmer To Go button as shown in the figure below. 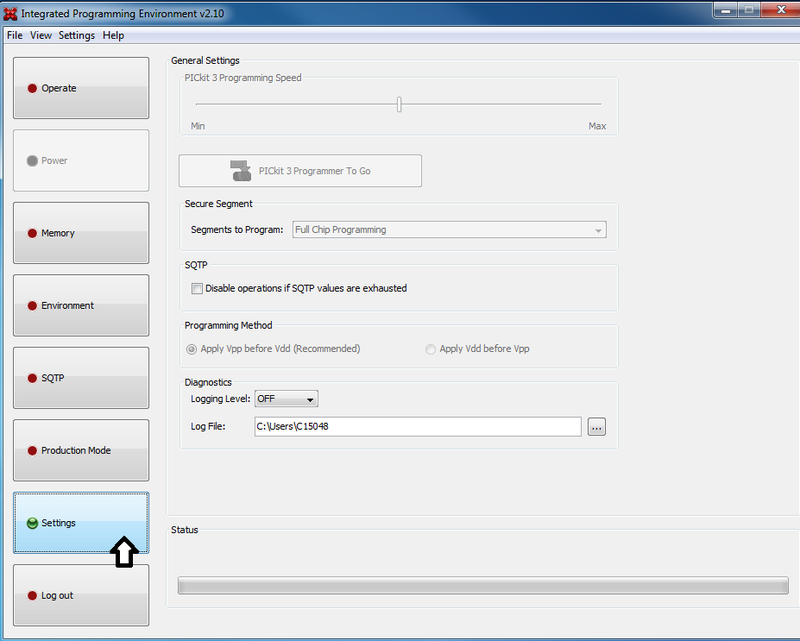 It then shows the settings that will be applied the next time the Programmer-To-Go feature is used. See figure below. Enter an Image Name that will be used for the image on the PICkit™ 3. Click Programmer To Go to activate. 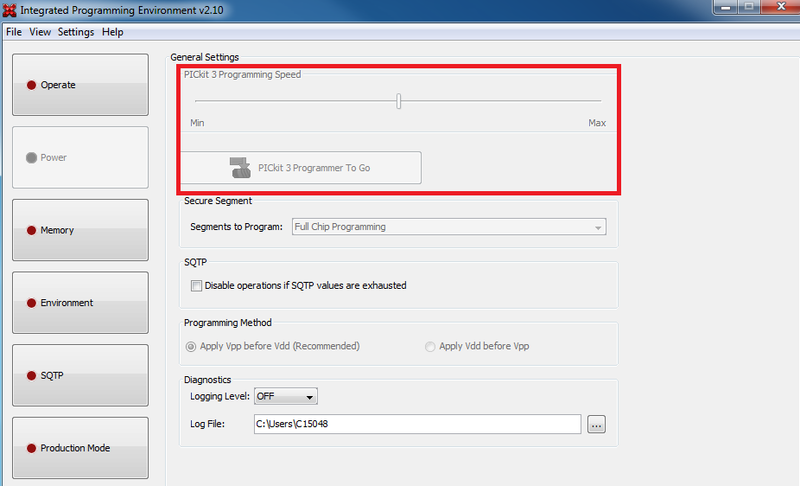 Refer to the PICkit™ 3 In-Circuit Debugger/Programmer User’s Guide, for information on the Programmer To Go feature. This feature may not be supported on all devices. 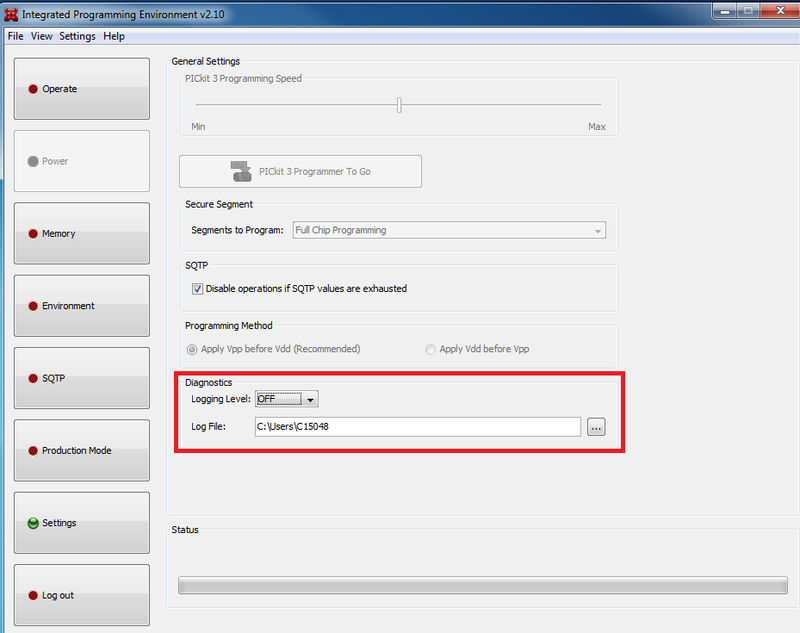 By default, Apply VPP before VDD is selected, and recommended. Selecting Apply VDD before VPP is an available option, however, caution is recommended when using this setting because it may have adverse side effects. 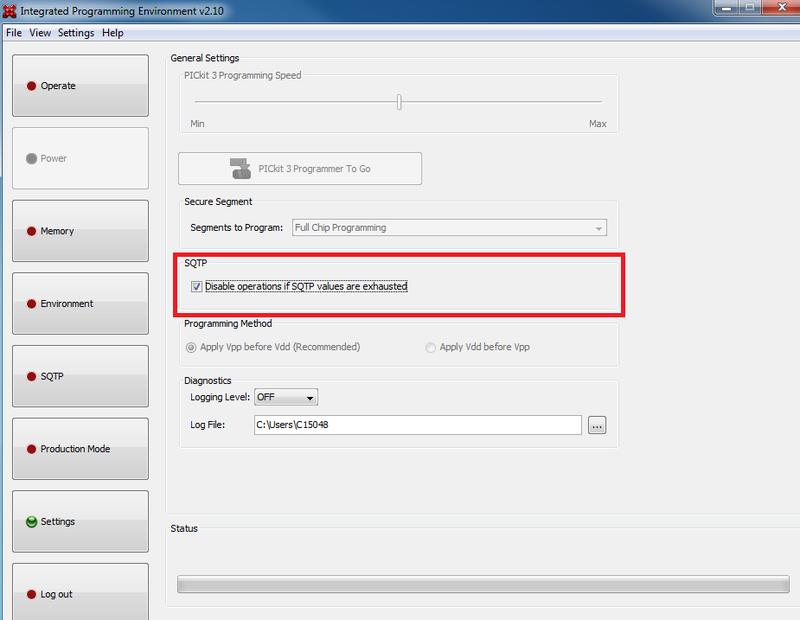 This option is available only when powering the device from the debug tool. SEVERE: Log severe (error) messages only. WARNING: Log warning messages only. INFO: Log informational messages only. CONFIG: Log configuration information only. FINE: Log some module to module communication. FINER: Log more module to module communication. FINEST: Log all module to module communication. To save the log file in a folder directory, click on Path button to select path then type the name of the log file. Enabling logging may severely degrade the performance of MPLAB® X. It is recommended that you do not use this feature without specific direction from Microchip.